We represent families throughout South Florida, including Miami-Dade , Broward and Palm Beach County. For all of your family law needs, the attorneys at our firm stand ready to assist. We will give you an honest assessment of your case in light of the facts, case law, and our extensive experience. For further information about our family law attorneys please contact us at our office in Miramar, Florida today. To learn the answers to a variety of Frequently Asked Questions, please click here to go to our FAQ page. For immediate assistance call us at 954-986-1778. The decision to divorce typically is not an easy one. It is common for husbands and wives to go through periods of ambivalence when deciding whether or not to try to save a marriage. Contradictory emotions of fear, relief, guilt, shock, betrayal, and insecurity vary with each day, and the ultimate decision to divorce may be based on a combination of these feelings, combined with logic, intuition, and a gut reaction to an intolerable situation. The decision to divorce essentially boils down to a simple question: “Am I better off with my spouse or without my spouse?” The answer to this question requires some genuine soul-searching and consideration of a wide variety of factors. Our family law lawyers understand the emotions involved in the decision to divorce and that every situation is different. Our attorneys never apply a cookie-cutter formula to divorce because there is not a precise, automatic formula for deciding whether or not to divorce. Our office is in Miramar, Florida, and our family law attorneys are committed to supporting families, parents, and children who are part of a divorce or custody proceeding. Our strong network of professionals in and outside the legal community allows us to provide a comprehensive approach to your family law issues. We approach divorce and time sharing matters with knowledge, experience and an aggressive and proactive style. We believe in reasonableness and cooperation, and utilize the appropriate avenues to bring family law matters to successful resolution. Non-adversarial alternatives, such as arbitration and mandatory mediation are often imposed by state courts in an attempt to save time and money and preserve relationships to the extent possible. Mediation and other Alternative Dispute Resolution (ADR) processes provide an option for those who prefer to stay out of court. ADR provides many potential advantages for most cases, including reduced cost, faster resolution, less emotional stress and the ability to construct solutions that are outside of the authority of the courts. We have expertise in determining when a form of ADR is in your best interest and will clearly advise you of your options. Because of the long-reaching implications of a divorce, one of the best things to do is get expert help. You may think that a good Florida divorce lawyer is too expensive for such a task, but getting a good divorce lawyer can save you from a costly divorce agreement or judgment that could affect you long after the case has been put to rest. We represent families throughout South Florida, including Miami-Dade, Broward and Palm Beach County. We will give you an honest assessment of your case in light of the facts, case law, and our extensive experience. For further information about our family law attorneys please contact us our office in Miramar, Florida today. To learn more about child support in Florida please click here to go to the State of Florida Department of Revenue Child Support page. For immediate assistance call us at 954-986-1778. Divorce in and of itself is difficult enough, and typically involves contradictory emotions of fear, relief, guilt, shock, betrayal, and insecurity. If children are involved in a divorce or placed in the middle of a child custody or child support dispute, these emotions can be magnified many times over. Our family law lawyers represent the best interests of children, mothers, and fathers in a variety of areas of family law. To learn more about time-sharing, please read on. In the 2008 legislative session, Florida made changes in its law regarding what has been commonly referred to as “custody” or “primary residence.” The term “custody” is not a proper term under Florida law. To date, there is no such term as “custody” in the Florida Statutes nor is there a primary or secondary residential parent designation in the Florida Statutes. In Florida, both parents have “time-sharing” with their children. The court will order a time-sharing schedule that is in the best interests of the children. There is no such legal term as “visitation” with regard to your children. A parent has “time-sharing” with their children and time-sharing is simply spending time with them according to a schedule pursuant to court order or agreement by the parents. We represent families throughout South Florida, including Miami-Dade, Broward and Palm Beach Counties. 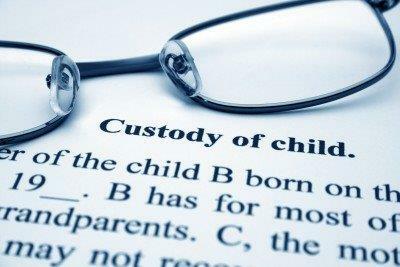 For all of your family law needs, the attorneys at our firm stand ready to assist. We will give you an honest assessment of your case in light of the facts, case law, and our extensive experience. For further information about our family law attorneys please contact us at our office in Miramar, Florida today.